Hope's Cafe: Progresso Souper You Prize Pack Review and Giveaway!! 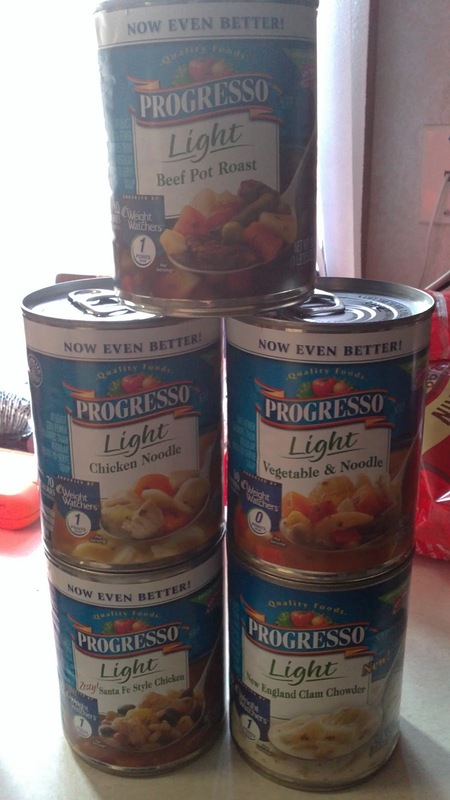 Progresso Souper You Prize Pack Review and Giveaway!! However, I recently received a Progresso Souper You prize pack for review, and had the chance to try a few new flavors. They are all delicious! 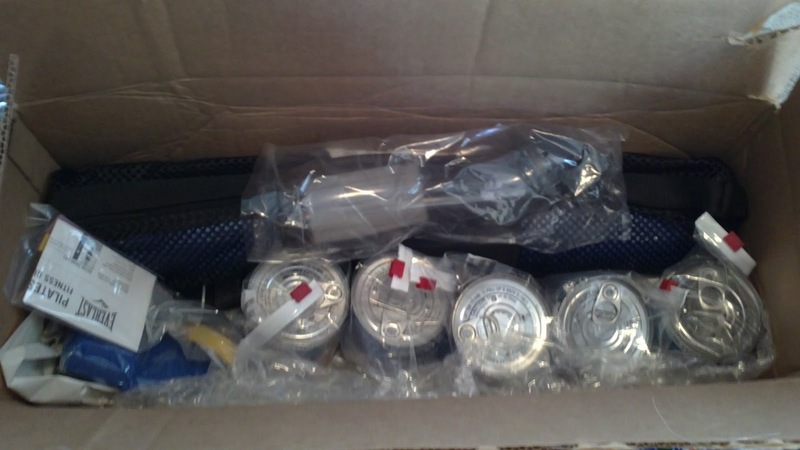 The pack included a fitness/yoga mat, water bottle, aerobic bands, sport headband, 2 sport wristbands, and 5 cans of Progresso soup-Beef Pot Roast, Santa Fe Style Chicken, New England Clam Chowder, Chicken Noodle, and Vegetable and Noodle. The Pot Roast and Santa Fe Chicken are my favorites-they are absolutely yummy! The chicken noodle has so much more flavor than your average chicken noodle soup, too. Very rich, and packed with flavor! And thew neat things about these soups is that even though they're "light" (100 calories or less per serving) they still have a full flavor. No diet taste here, or tasteless soup. Each variety is packed with vegetables, and are a good source of fiber. 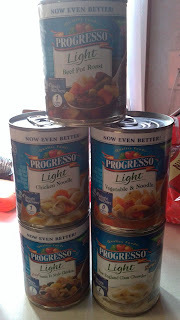 One of my readers will receive a Progresso Souper You Prize Pack!! Tell me your favorite Progresso Soup flavor! This giveaway ends Saturday, March 26, 2011, at 11:59 p.m. Please leave a valid email address in each comment, as this is how the winner will be notified. Winner will have 48 hours to respond, or another winner will be chosen. Giveaway open to US residents only. Disclaimer:I was not monetarily compensated in any way for this post. All thoughts and opinions are mine. The gift pack I received, as well as the gift pack for giveaway and the information about Yoplait brand Yogurt were all provided by Progresso through MyBlogSpark. I like their Manhattan clam chowder! And my husband likes that several of their flavors are gluten free. Beef Barley is my favorite. The Creamy Tomato looks really good:) Please enter me. Thanks!! Commented on Trudeau kitchen products review. Commenter on flat iron review. I like the Zesty Sante Fe Chicken soup, yum! The Zesty Santa Fe chicken soup sounds yummy! I love their Minestrone & Creamy Tomato! I entered the Nick Chavez giveaway, too! I commented on your Joe Shopping review! I commented on your Miche Bag review! I like the Chicken and Herb Dumpling soup.